It often goes unnoticed, but the barista who serves your daily cup of coffee has an invisible yet powerful and direct influence in the way you taste your drink. And we’re not just talking about the way they handle your order. “I’m sorry ma’am, I just have to assist someone else for a minute,” are words from a bank clerk that can instantly induce frustration in any customer. Bank errands are stressful enough, but this one clerk, whose name I clearly remember to be ‘Jenna’, was one of the best clerks I’ve had the pleasure of doing business with. She smoothly helped me through my transaction and was consistently patient in answering all my questions. She was the kind of clerk that even at four in the afternoon, with only a few minutes left before clocking out, still had the energy to smile at her client like it was just her first hour at work. What was so remarkable about Jenna isn’t her technical knowledge of the products; it was Jenna’s way of dealing with customers at hand. Her attitude was a subtle yet very clear indication of how happy she was to work for that bank. When I asked about one of the tabletop printouts on her desk, she wasted no time to explain everything and almost immediately presented an investment plan that would fit my lifestyle. It was a sign that she was trained very well; that she was given enough time by the management to read, study, and sell to any kind of customer that she’s faced with. Overall, what would have been a tedious and time-consuming process felt like a mere 15 minutes of talking to a someone I already knew. And the following week when I came back, Jenna was the same person I immediately looked for, because I knew that their branch had someone who can breeze through all my concerns. Suddenly, running bank errands didn’t seem so bad. People like Jenna have a direct influence on a business’ reputation. Bank clerks, along with many other frontline professions, are one of the most influential people that a business can employ. There is an invisible, direct control that lies with customer-facing staff. They leave a big impact on clients and are a potential bottleneck for prospects. Everything they do determines a customer’s impression on the business, and helps them decide whether or not they will patronise the product or service. Often, it isn’t just the company’s branding or products that really catch attention — it boils down to how properly and professionally their people handle clients’ concerns. Imagine a client recommending a product based on customer support alone. Back when SaaS was still young, that would probably be hard to believe, but what seems unthinkable then is now one of the greatest leverages any digital business can use to acquire more customers. The power of well-trained frontline staff is universal. Their behaviour constantly influences the public’s perception of the company they represent. The experience they create is what clients will always remember. It’s the same in hospitals, supermarkets, service centres, restaurants, hotels, and cafés. Frontline staff service plays a huge role when it comes to helping a business stand out above the ever-laden competition. In the case of restaurants, there’s a reason why Michelin Stars, the most notable and popular restaurant-rating system, includes ‘overall dining experience’ in their list of criteria. Mastery of food taste and techniques are important, but one faulty dining experience of an inspector and your hopes for 3 stars are easily out the door. 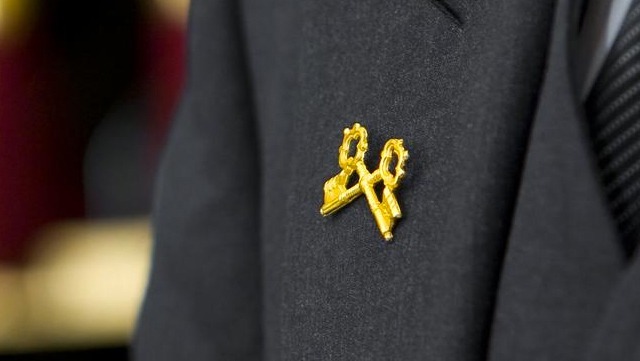 For hotels, Les Clefs d’Or (The Society of Golden Keys, widely popularised by the 2014 film, ‘The Grand Budapest Hotel’) was organised formally 90 years ago for the sole purpose of delivering the best quality of customer service in hotels across the globe. Wearing the signature pin of crossed keys in a concierge’s lapel is synonymous with “excellent services rendered by a seasoned professional.” These are the most vital people in any hotel — not just the rooms, value for money, or amenities offered — but the people in front are considered to be the most crucial point of interaction for any hotel guest. As with coffeehouse chains, I often remember the best drinks to be the ones served promptly and properly as I would order them. Some baristas do not exactly know how to prepare a certain drink, but this only tells me one thing: the company needs to invest more time training them. However, the way they handle orders is not the only thing that factors into a customer’s perception. There’s even an account of Forbidden Bean founder and barista, Vanessa Lee, talking about how a barista’s brand image (dress code) affects the taste of coffee. It is seemingly possible to affect a customer’s impression of coffee even before they taste it, simply from interacting with their server. Whether you go to a bank for over-the-counter transactions or order coffee in the corner shop, the fact that frontline workers will serve you do not change. Everywhere we go, whatever service or product we buy, their omnipotence is a force that if otherwise existed, will not amount to much of the business’ operations. Yet, majority of the world’s businesses who hire frontline workers either pay them less or make them work more than the maximum hours, sometimes even both, resulting in rampant cases of wage theft across different industries. Recently, in the United States, J.V. Car Wash and its sister locations were caught in a lawsuit for a wage theft case amounting to approximately $8.5 million. It was the result of underpaying their workers $4 per hour, $50 per day. On average, that amounts to $350 a week. 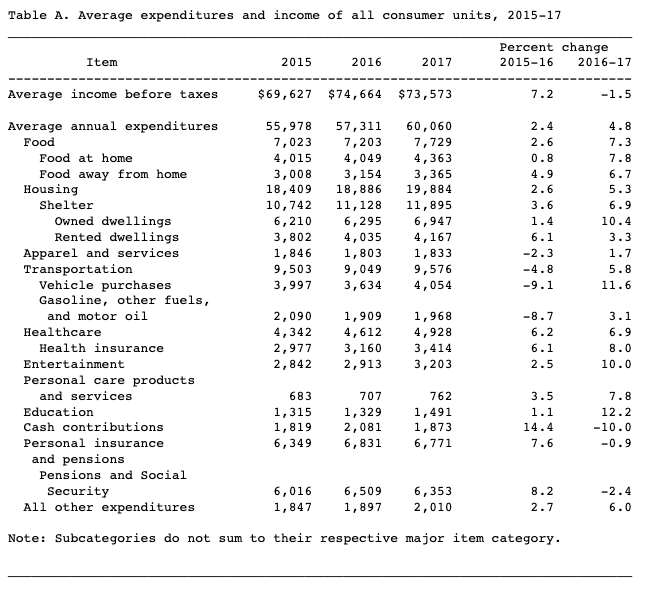 To put this on a clearer light, the average American’s weekly spend on food is $161, not taking into account that shelter is at $450 per week and transportation is at $200 per week, all on average. That’s already way beyond the $350 a week that J.V. Car Wash employees were getting. And this type of case is not at all exclusive in the West. A 2017 report by Middlesex University and the Trust for London notes that “unpaid labour” is not limited to the failure of employers to properly pay employees, however even covering cases such as forced labour, “workfare”, unpaid internships, cessation of pay in company insolvency, and even unwaged domestic work and childcare. The same report concluded that there are between 35,000 and 40,000 cases of unpaid wages every year in the UK alone. Business Insider also reported that these amount to £2.7 billion every year, excluding any unsettled statutory pay and self-employed individuals. In Australia, the Fair Work Ombudsman (FWO) apprehended and penalised businesses in 2018 that amounted to a whopping A$10 million. The penalties were in response to improper payroll processing and underpayment of employees, most of whom were found to be students and immigrants. Among those businesses apprehended, labour issues were most rampant among the fast food industry, restaurant, hospitality, transportation, and manufacturing. One case is that of Degani Café. On 21 December 2018 they were penalised A$140,000 for underpaying staff and providing inspectors with false records, according to FWO. Only 5 months prior to FWO’s notice, Degani was also the subject of a non-compliance report, particular of 15 of their outlets. The problems identified were consistent: Underpayment and record-keeping breaches. Yet, the cases of businesses not paying staff accurately remains on its toes. Unfortunately, no big change has been heard of in terms of these issues. As I’m writing this, approximately A$2.3 million in underpayments and wage theft has been announced by FWO — and we’re only halfway the month of March. So, where exactly is this issue coming from and why is it supposedly so difficult to resolve? Massive cosmetic brand, Lush blamed “serious payroll system errors” as a reason of underpaying staff after they became the subject of Australian controversy in July 2018. It was found that over 5,000 retail and manufacturing workers were improperly paid over the duration of 8 years, amounting to over A$2 million in penalties. What’s interesting to note however, is that their statement also attributed the penalties with the transition of payroll systems to the Fair Work Act’s system of Modern Awards in 2010. “For example, under the Cleaning Services Award 2010 there are three levels of classification, different rates for ordinary hours, Saturdays, Sundays, Public holidays as well as shifts that start prior to 6am, commence after 6pm or for permanent night shift as well as split shift allowances. Additionally, there are allowances for toilet cleaning – if a large portion of the day involves cleaning toilets an allowance of 1.766 per cent of the standard rate per week is paid or 0.359 per cent per shift, a cold place and hot place allowance if you work more than one hour of your shift in a cold or hot place – the amount of allowance varying depending on the temperature. I will not even attempt to do the math with the statement above. But imagine the concentration it requires to sift through such details. And then imagine that you’re a business owner whose forte isn’t exactly wage and pay calculation. This makes it strenuous for managers to keep up, what with updates on rates from the Fair Work frequently released. It’s true that complex systems pose major bottlenecks in accurately paying staff; however, it’s also important to take into account that another reason why employees do not get paid well is due to their lack of awareness of how much they should be paid in the first place. In the case of J.V. Car Wash, the workers had barely an idea of what their base wage should be, and whether or not the tips were theirs to take home. If you look at it, this should really not be the case if a business has a proper onboarding system. It’s not solely an employee’s responsibility to understand how the system works — let alone a complex one — rather shouldn’t it be under the employer’s discretion to explain and disclose what an employee should expect? Employees who are not confident in the job they perform says more about how their employers treat them than anything else. Should a business decide to build their clients’ trust, the trust should begin between managers and employee first, e.g. proper onboarding, decent training, just payouts, and an open feedback system, among others. 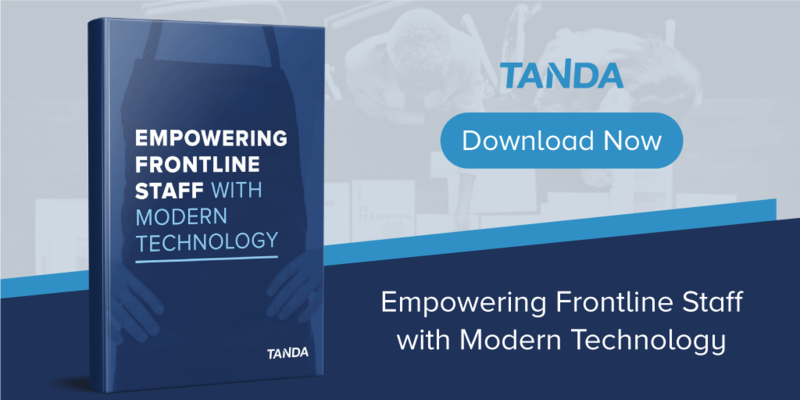 The truth of the matter is that the demand for frontline staff will not die down for as long as businesses like banks, department stores, coffee shops, and groceries operate. Even when businesses opt to turn digital, customer service representatives still play an essential role of setting a brand image for clients. The way employers treat frontline staff translates into the way they treat their customers, which in turn makes or breaks a brand. For as long as employers fail to provide their customer-facing employees the proper training, fair pay, and flexibility to do the best work they can, these industries will continue to lose more than they can afford — and we’re talking more than just the revenue, more so the overall quality of operations and lifetime value that they have in the books.